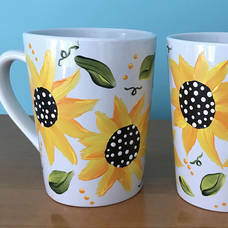 Your coffee or tea never tasted better than out of a mug that you created yourself! 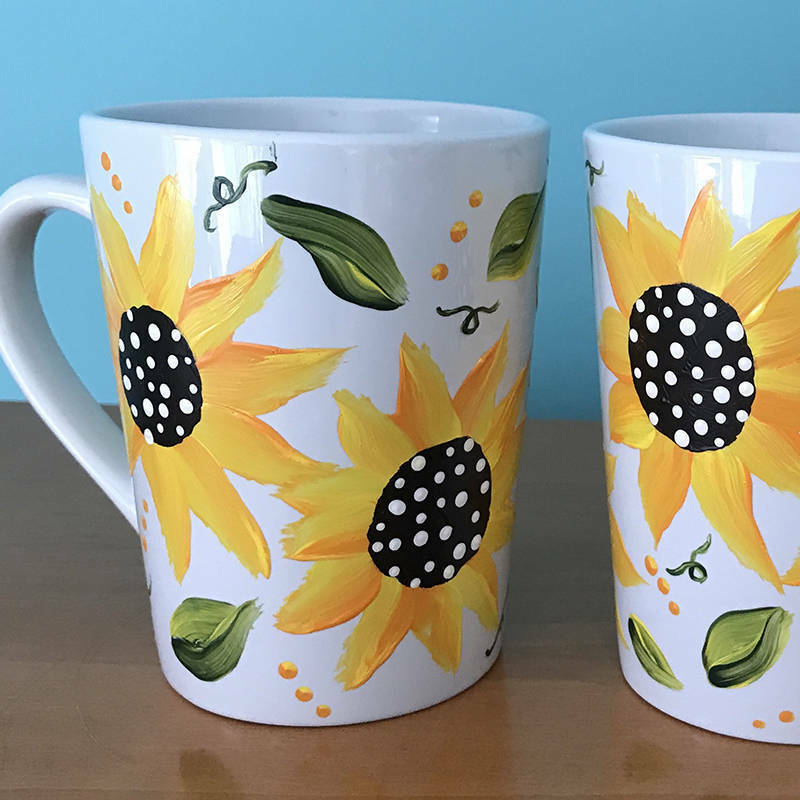 Join Bette from Easel on Down at Reynolds Garden Shop and learn how to paint sunflowers on two mugs. One lucky class member will win a fresh flower arrangement too! Sign up today to confirm your spot! The cost is $40; bring your favorite wine, and a friend; Snacks will be supplied. 5 pm. Space is limited. Sign up today online @reynoldsgardenshop.com or call Maria at 609.597.6099.